In most households, the garage disposal is used every day and when it fails to work properly it can be frustrating. When this happens, a reputable plumbing company like ours should be called. A buildup of grease, hair, detergents, soaps and food particles are some of the main reasons why disposals malfunction. 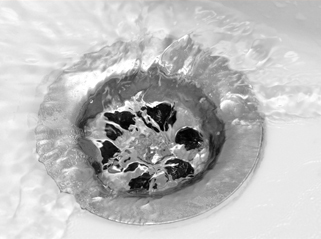 If a garbage disposal repair in Chandler, AZ is needed, you can rely on our crew to do an excellent job. We have been in business for many years and offer top quality services that will not be surpassed by any other plumbing company in town. We are a very efficient and offer top quality services that you can depend on. If you notice that your disposal is extra loud when in use or if there is a strong odor coming from the sink, the problem should be looked at right away. Our technicians have been well trained and will properly fix any issue you may be having with your disposal. If you are seeking efficient and reliable garbage disposal repair services, give us a call today. We are the best in the region and will not be outdone by the competition. You can trust our team to do a professional job. Another problem to look for is standing water found under or near the unit. In most cases, leaks are a strong indication that there is a problem with your unit and that it may need to be replaced. It is never a good idea to let water stand for more than a few days because harmful bacteria and mold could begin to form. We guarantee that our services will not be duplicated and that you can trust us provide you with professional services. If you are looking for efficient garbage disposal repair in Chandler, AZ services, we strongly advise you to contact us today.